An online conversation of the “10 books that most impacted you” type got me to thinking, natch. 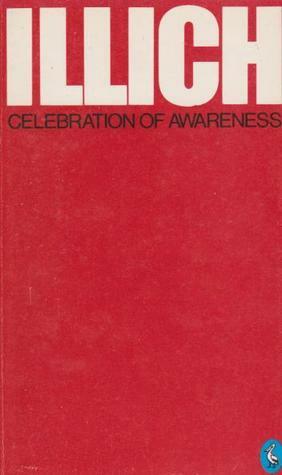 I remember being a slightly bored, vaguely precocious teenager needing stim, and coming across a book – from who knows where – by Ivan Illich called Celebrating Awareness. I recall deep conversations with my mum about the revolutionary messages therein. I kept the slim tome. It touched me deeply, it made me a tentative revolutionary. Tonight I went upstairs to the bookcase to see if I still had it, 30 years later. I expected to find it, but alas…moving everything I owned in 2 suitcases to Canada 10 years probably did for it. It saddens me because, thinking about it, and him, and with Dr. Google’s assistance, I realize why it meant so much to me. It was barely revolutionary, in terms of smash the system. But it was progressive – it put people first, in their experience. And this is full circle for me, as I see around me the emergence of, and struggle with, technology-enabled FREEEEEE-DDDDOOOOMMMMM, and the opportunity – and the massive risks – of individuals putting themselves in the driving seat in their learning and self-organizing, and maybe their self-actualizing. One of the google search returns about him and the book was this performance art experience reading of the book in a London car park in 2010. Tears came to my eyes. I know if I had been there, it would have made a difference in my life. It would have led me on a new journey, I know it. But writing this is a chance for my own celebration of awareness. My journey over this last 30 years has been a gift. I am now learning and growing in the way that Illich describes 45 years ago, sharing my expertise, peer matching, leveraging the learning web, exchanging skills freely. I have never been more optimistic, fo’ shizzle. I hope, today, thinking about what Illich called the “opportunity web”, you too are optimistic. If not, we should talk.